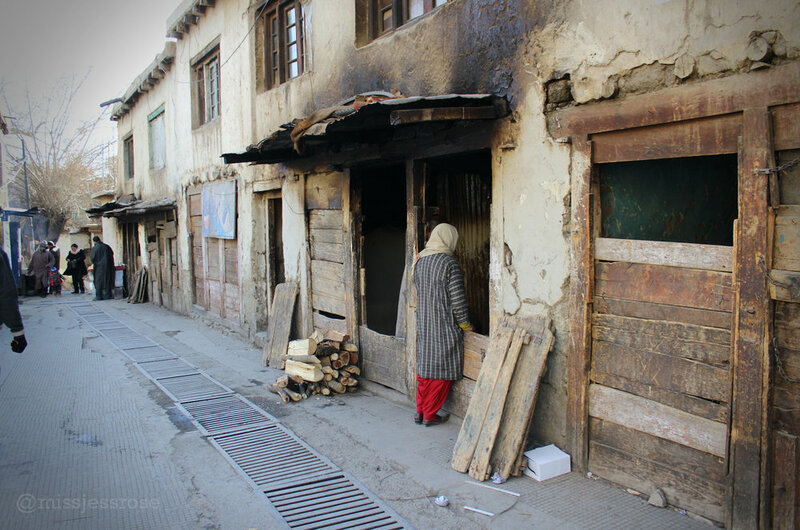 Leh is in Northern India, in the Himalayan Mountains where insulation is uncommon. Ditto indoor heat. At 11,000 feet, it gets so chilly in February, that I'm pretty sure locals wear hats to bed. At least I do. Normally, tourists don't visit Ladakh this time of year. Besides the cold, Leh's short airplane runway situated between mountain peaks tends to thwart visitors—literally—as blustery weather often causes flight cancellations (it took us two different flight attempts to finally get here). 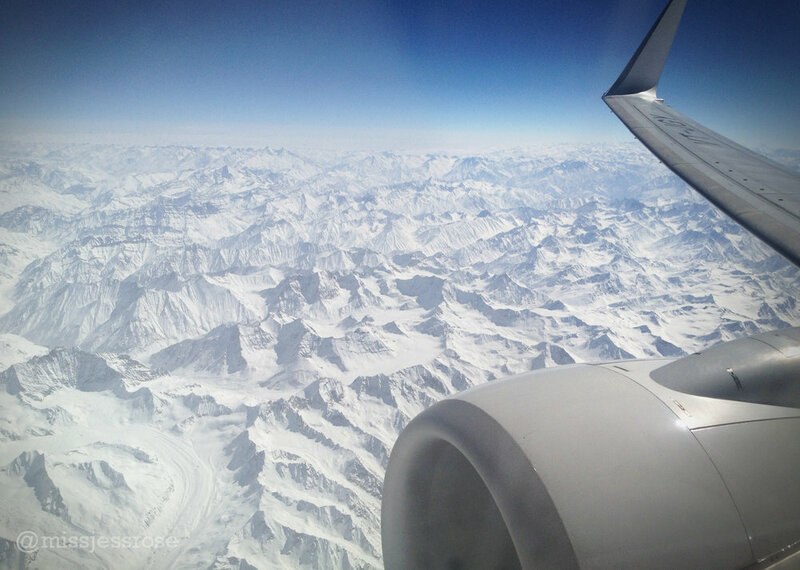 Descending narrowly close to snow-covered peaks on either side of the high altitude runway, I was not so much comforted by the sight of fellow passengers—primarily robed Tibetan monks—voraciously reading the security pamphlets from their airplane seats. Besides precarious flights and lack of heat, other deterrents might be: lack of running water, limited food supply, and the fact that most restaurants and shops are closed this time of year. Despite all those obstacles, there's a reason we came. Ladakh is another majestic, mystical world apart from sparkling Mother India. 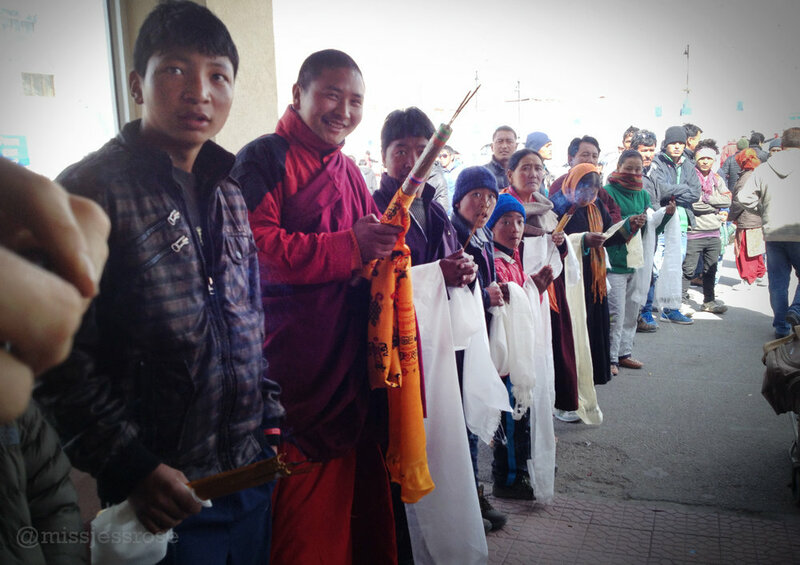 When we step off the plane and are greeted by red-robed Tibetan monks with incense and white scarves, I have the feeling that I've truly arrived in a far and distant land. I am not wrong. With the absence of a cacophony of tuk tuks and tourists, Leh is quiet. Snow-peaked Himalayas hug the village, grounding everything with peace. I'm relieved to be here after the noise and chaos of Delhi. As I've mentioned previously, three months in India was wearing me thin. Even so, we haven't yet left all the beautiful chaos too far behind. All too familiar scrapper dogs and fuzzy cows roam the streets of Leh, just as hungry as ever. 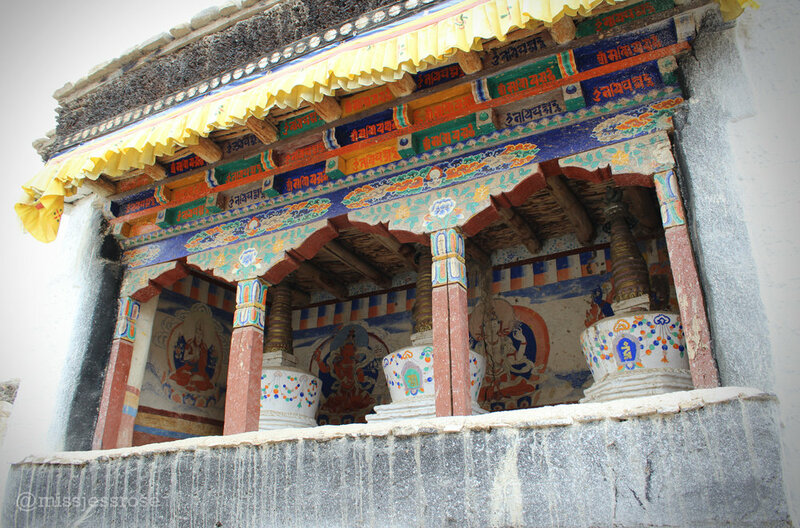 Even thought Leh is regionally very different from the rest of India, I can still feel the Indian culture intertwined with a curious blend of other cultural influences, including both Muslim and Tibetan Buddhism. We stay at Silvercloud guest house with Sonam and his family. As it's off-season, we are the only guests. 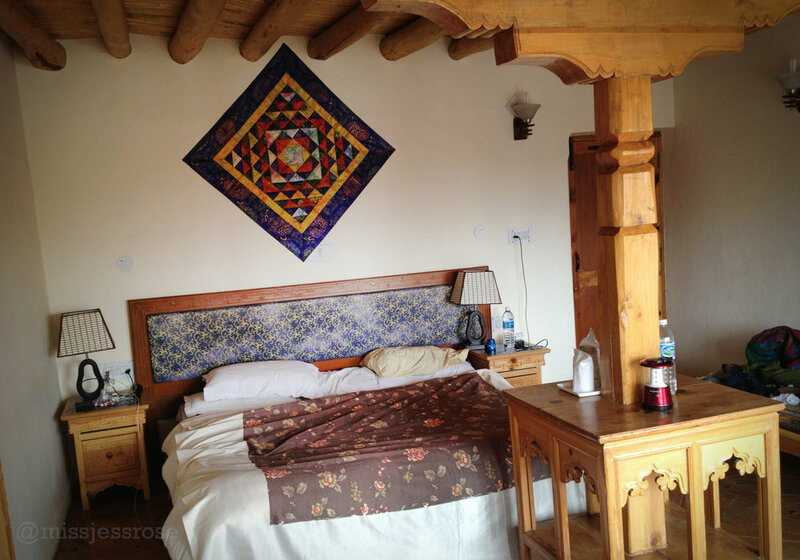 Our room is beautiful with traditional hardwood floors and hand-carved wooden details around the windows and ceilings. I can see the great white Himalayas in the distance from our balcony. Tibetan prayer flags flutter from rooftop to rooftop in the wind. I don't think I've had a better view this entire journey. We have a bathroom, but no running water. That means we must learn how to "flush" the toilet by dumping a bucket of water down the porcelain toilet, followed by a spoonful of salt so that the pipes don't freeze. Let me tell you about hot bucket showers in the winter: they are not enjoyable! My recommended strategy—schedule your shower midday when the sun is out and the thin mountain air temperature is slightly warmer than freezing cold night. That way you can warm up and dry off a little easier. Exploring the village of Leh inevitably means you'll run into fuzzy, lazy cows and plenty of large, ancient Buddhist stupas. Impossibly old, wrinkled people praying with prayer beads pass while walking along the village path. Everyone always nods and says "juleh," or juley, as they walk by with a smile. Translation: hello/goodbye/thank you/nice to meet you/you're welcome (yes, all those meanings in exist in a single word!). Sprawling mountain views are incredible here, and this glimpse into Ladakhi life feels like a rare, preserved micro-culture. It's so peaceful in Ladakh, that we end up staying for nearly two weeks. We spend our time exploring ancient Tibetan Buddhist monasteries, spinning the many prayer wheels, exploring the village, buying fresh bread to feed to the familiar scrapper dogs, and enjoying the peace of this quiet place. One morning we ask if Sonam has any milk for the Corn Flakes we purchased the day before at a local import shop. "Yes, we have!" Sonam says, and quickly disappears into the kitchen. Minutes later he reemerges with a steaming hot kettle of milk. "Where is this from?" we ask. "It's from our cow!" Sonam says. He explains that each morning, his wife milks the cow before she's set free to wander about the village with the other cows. So this is what fresh, unpasturized boiled cow milk with cereal tastes like. Dinner at Sonam's house this time of year requires us to bundle up in layers of warm jackets and hats each night. We sit cross-legged with the family. 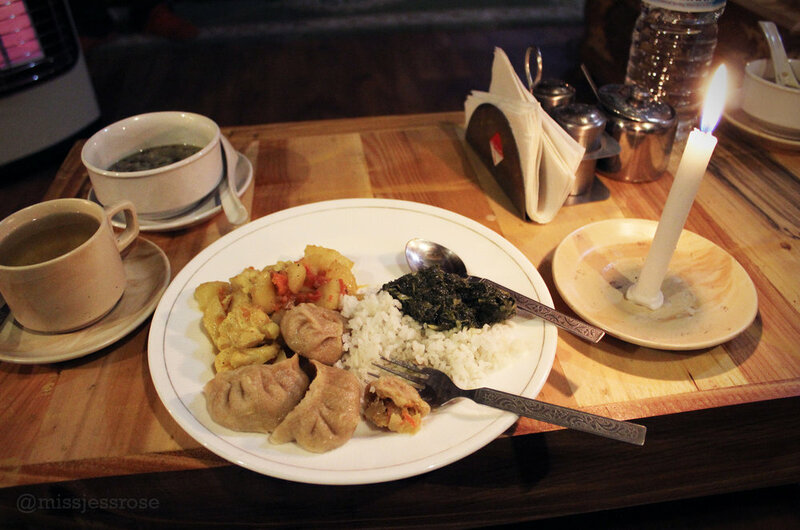 A home-cooked meal includes: steaming hot tea, dhal, rice, cooked carrots and potatoes, and fresh momos (yummy regional dumplings). As we eat, Sonam tells us about how he first built this guest house, and how now he is worried that his roof might not be sturdy enough to survive a "cloud burst" such as the one a nearby village experienced in 2010. I ask what a cloud burst is, and he describes the devastating aftermath of a super storm that caused so much unseasonable rain and subsequent flooding that it took out an entire village. "Have you seen storms like this before?" I ask. "No, it is a new threat," he says. "This is climate change." "You know climate change?" I ask, surprised. Sometimes people in developing countries don't have a name for such extreme weather changes. "Yes, we know it," Sonam says. "Do you know what causes climate change?" I ask. I think about how curious it is to meet people who understand first-hand the affects of climate change, the reality of it, because they don't have the privilege to choose to "believe" or "not believe" whether or not it's real. Climate change is just simply something that their community must face now, and previously, it wasn't. And yet, even understanding that something big is changing, there is still lack of awareness and confusion about its cause. This is maybe our bigger challenge as citizens of a global community—to help educate other cultures in addition to figuring out solutions towards curbing fossil fuel consumption so that together, we can make the shift towards a more sustainable economy. But climate change is one of those larger challenges, meant to be worked on together. For now, at least, on this journey, Ladakh remains beautifully peaceful, and a glorious region to explore. 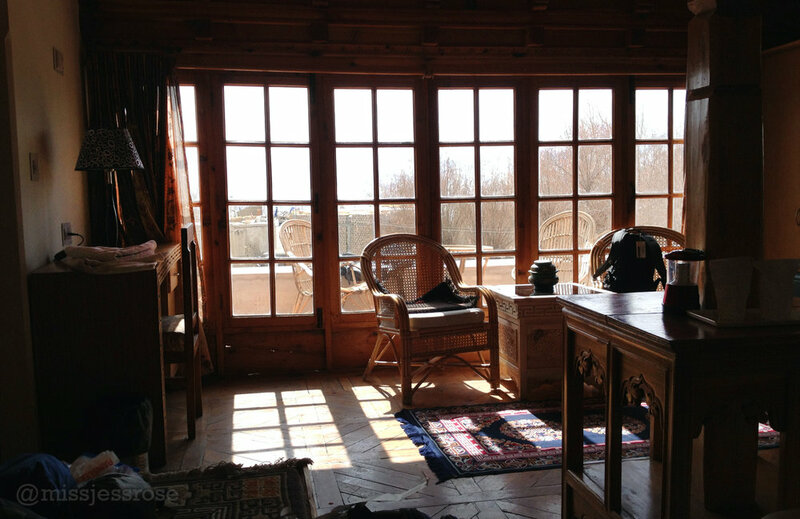 Interested in staying with Sonam and his family at Silver Cloud Guest house in Ladakh? Check out their website here.